As part of their 2016 ‘Seasonal Appeal’, the Financial Times (FT) is highlighting “psychological first aid” for migrants as the cause they want readers to donate to. Médicins Sans Frontières (MSF) or Doctors Without Borders, is the featured charity this year in the globalist-oriented business paper’s ‘Seasonal Appeal’. While which season this alludes to is not made clear — Christmas is not mentioned once in the appeal — the appeal for money coincides with the festive season, a traditional time of goodwill during which research has shown people believe it’s important to donate money to charity. An article entitled “FT Seasonal Appeal: MSF gives ‘psychological first aid’ to migrants” details the work of the group’s “mental health programme for refugees” in Italy. Despite the programme’s name, migrants referred to in the piece seem to come from nations which are not in an open state of war. 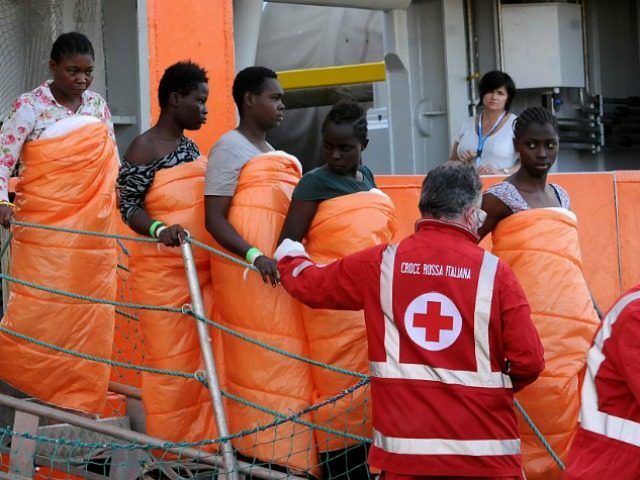 “Psychological first aid”, the piece explains, is what the coordinator of the mental health programme calls the team’s work with Africans immediately after they are ferried into Italy. MSF also have reception centres across Italy from which they help Africans who have been in Italy for months and years, with mental health problems. Telling readers that “many migrants suffer to come to terms with their new lives in Italy”, and are often stressed about asylum decisions, the piece says the charity works mainly with migrants who have anxiety and depression. Italian psychologist at MSF Ester Russo recounted “with tears in her eyes” the story of a Nigerian who “feared he could no longer remember how to be a mechanic, his profession back home”. The MSF mental health team also works with Africans staying in former hotels which are being used as reception centres. Hotels across Italy are being seized by the government and used to house migrants against the wishes of their owners. Breitbart London last week reported that locals in Turin were left terrified when migrants squatting in the city’s former Olympic village, which is now a hotbed of crime, took to the streets to protest “racist Italians”. Screaming threats and throwing projectiles, the Bataclan massacre in which 89 people were murdered was hailed as a “revenge of the excluded”.